Stop! 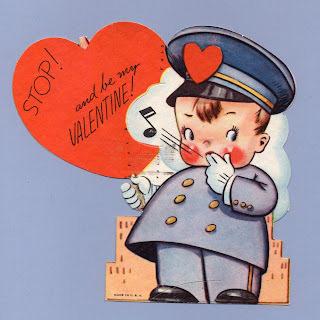 and be My Valentine! 5 3/8" x 5 1/4"
Stop - I'd like to COP you for my Valentine. 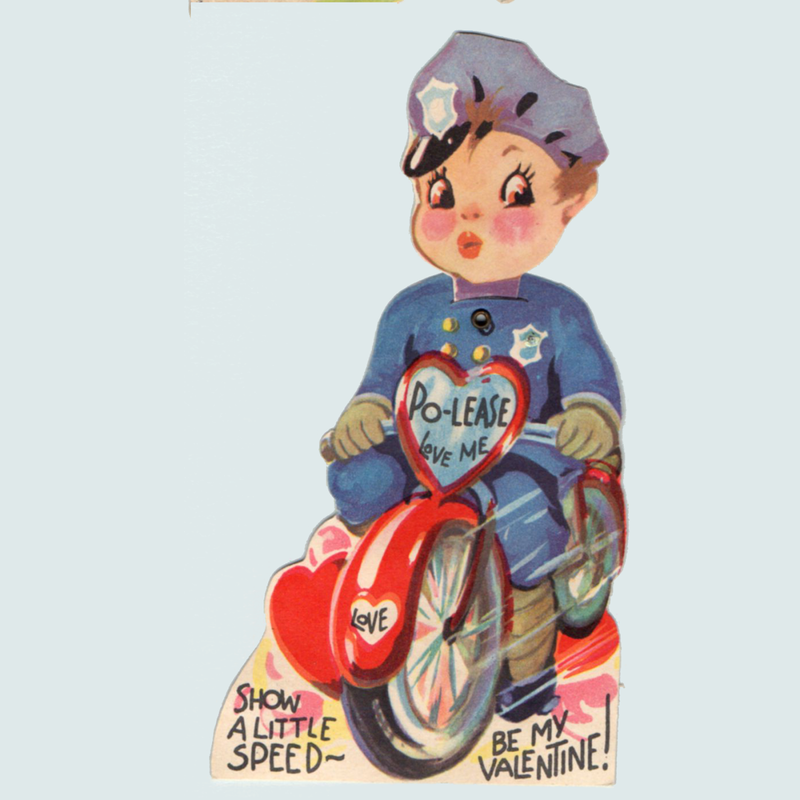 4 1/2" x 2 3/8"
Marked: L - made in U.S.A.
Po-Lease Love Me Show a Little Speed - Be My Valentine! 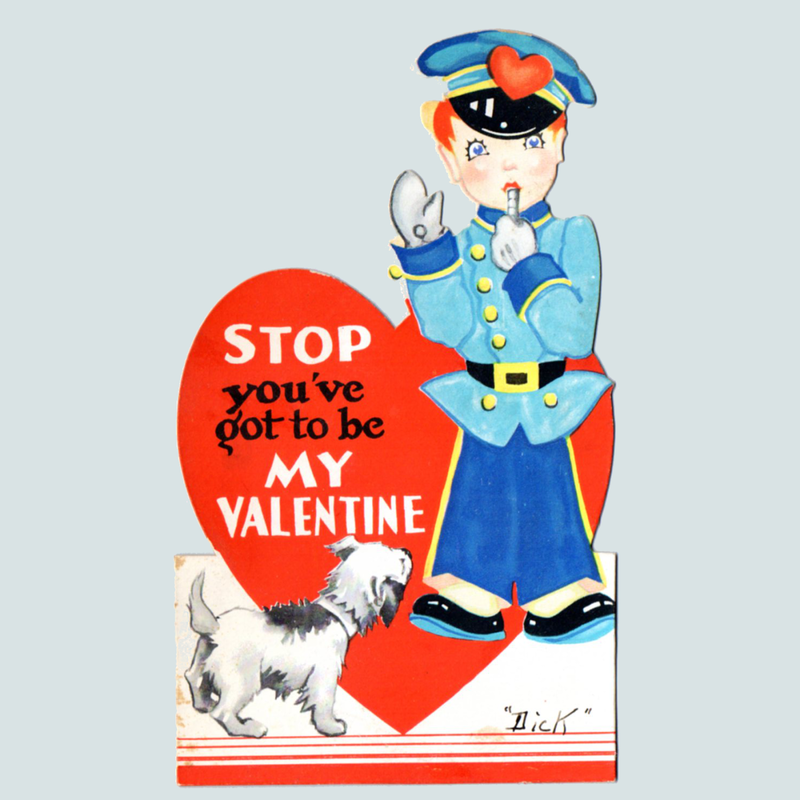 Stop you've got to be My Valentine. 3 3/8" x 5 7/8"
I've got to HAND IT to you Valentine ~ You've COPPED my Heart! Be mine! 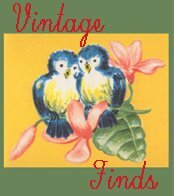 4 1/2" x 5 1/8"
Go ahead and be my Valentine. 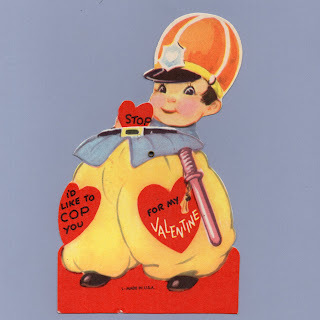 3 7/8" x 4 3/8"
Keep Off unless you'll be My Valentine. 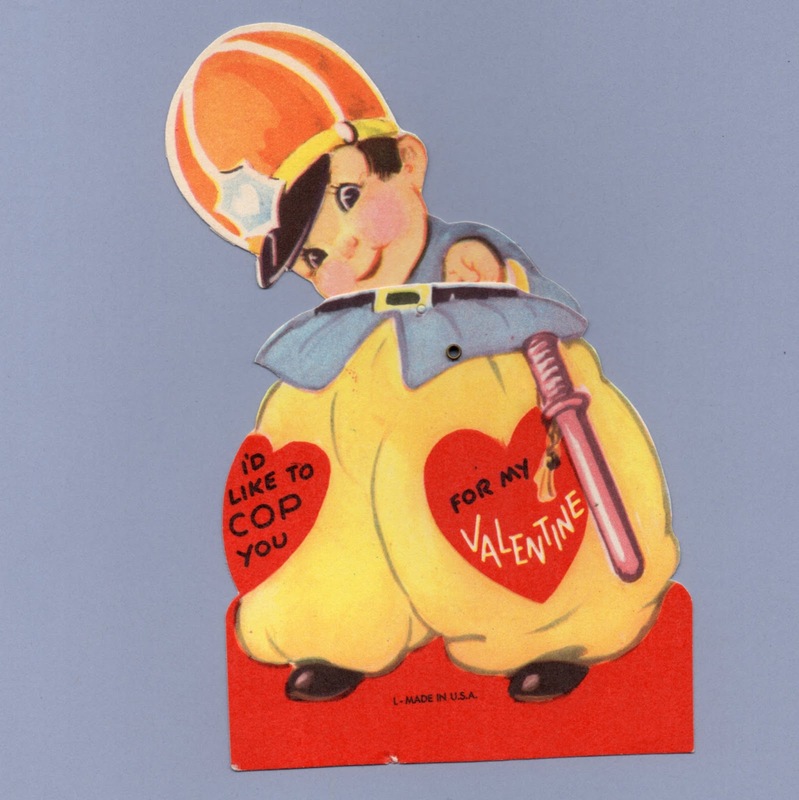 You see I'm out to COP you for my Valentine so PO-LICE say You'll be it! Hello Sugar - you're wanted for HOARDING your Love - Won't you share it with me my Valentine? 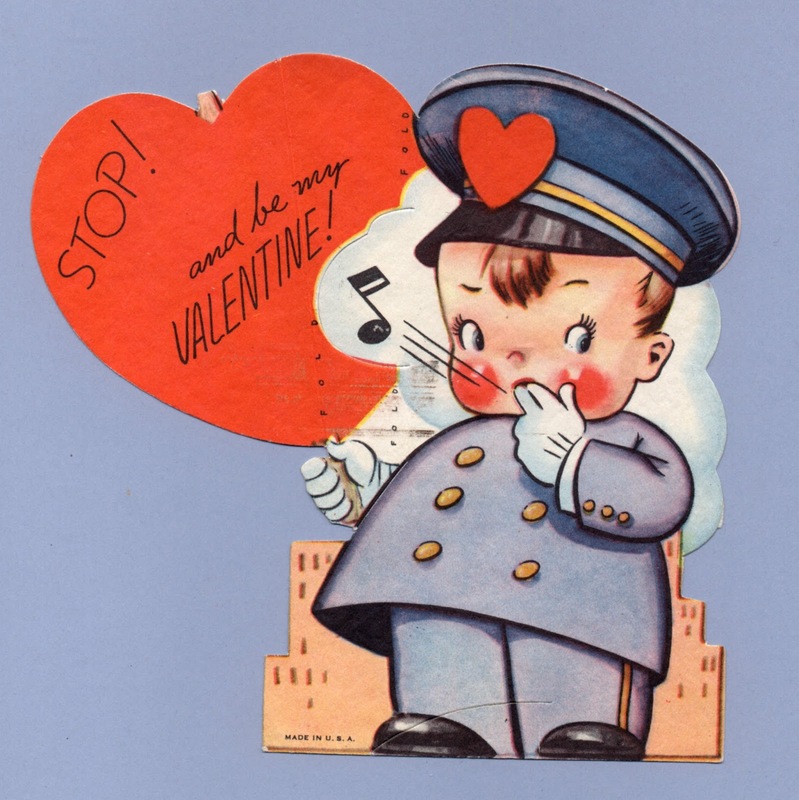 STOP - I'm stopping everything to say please be my valentine today!